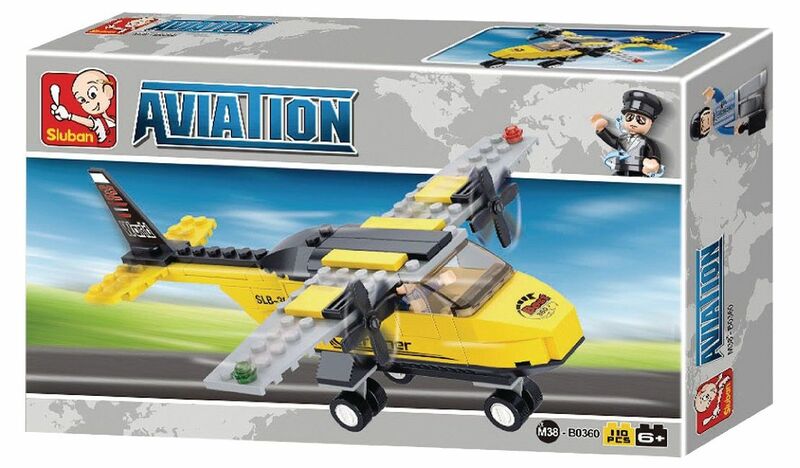 Due to the hugh success of the toy building block brand LEGO the popularity of Chinese clones have increased and are now widespread on stores like Aliexpress. I decided to pick one up from a well known bootleg company called Sluban. Looking at Sluban’s history it was a surprise to find out that they aren’t directly copying Lego like other well known Chinese brands including Enlighten and KAZI. It turns out Sluban are a copy and direct competitor of a South Korean toy manufacturer called Oxford which was founded in 1961. Oxford produce many types of blocks from the small Nano sized bricks to the larger Duplo sized bricks. After browsing Aliexpress I found the Sluban M38-B0360 Trainer Aircraft for approximately $6.77 US. To cut down on the cost of shipping the seller didn’t include the box. 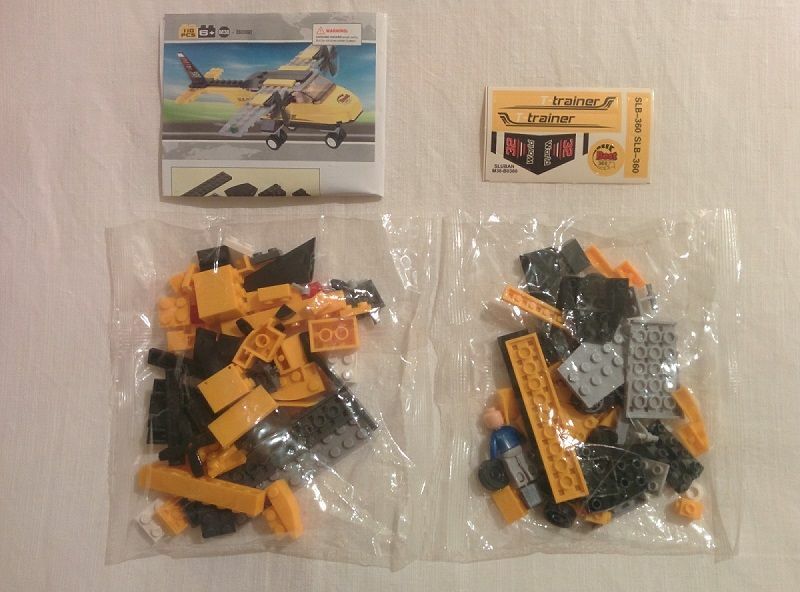 When the package arrived it contained 2 bags of bricks with an instructions manual and sticker pack. 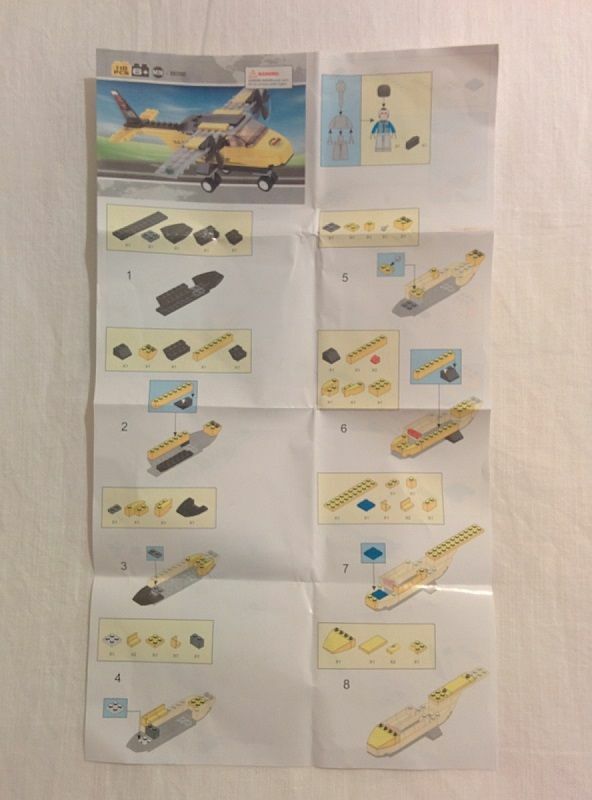 The instructions included are fairly basic and don’t include every step to build the plane. I found myself having to constantly go back a step to see which block I had missed. The Sluban bricks appear to be virtually identical to Lego bricks however the quality is much poorer and some of the blocks have a sharp edge. The wing blocks are quite flimsy and could easily snap with the right amount of pressure. The minfigure included is quite different to Lego minifigures as the body and legs are much more shaped. 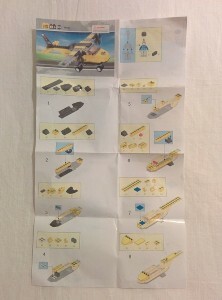 It’s also compatible with Lego so you can mix and match the parts. Unfortunately the wider body on the minifigure makes it harder to keep securely in place. 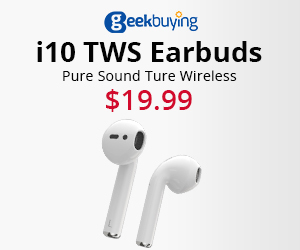 Overall the design is quite good and the compatibility with other brands is a bonus. No pieces were missing and an extra 16 blocks were included out of the 110 in the set. However I found the quality in some areas to be quite bad. Applying pressure to the top of the plane would cause the wing and wheels to come off. The other issue is having to use stickers since nothing is printed on the blocks.